Jodi Arias met Travis Alexander in September 2006 at a Prepaid Legal Services conference in Las Vegas, Nevada. By February 2007, they were a couple, but in the summer of 2007, they broke up. However, the break was not clean, and they had an ongoing sexual relationship. 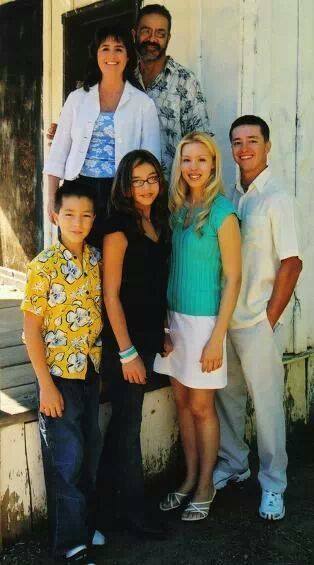 In April 2008, Jodi moved back from Mesa, Arizona to her grandparents’ house in Yreka, California. In early June 2008 Jodi travelled to see friends in Southern California, and very early in the morning on June 4, 2008 she arrived at Travis’ house in Mesa. Travis had stayed up, and after bringing in Jodi’s luggage, they went to bed. Later that day, Jodi was taking pictures of Travis in the shower when the camera slipped from her grasp. Travis who had already shown anger earlier due to a computer virus on his laptop, was enraged, and slammed Jodi on the floor. Jodi was sufficiently scared that after running away from Travis, she picked up a gun, pointed it at him to keep him away, but when he didn’t stop, she squeezed the trigger without meaning to. After Travis was shot, he would not calm down, and later, after a desperate fight, Jodi killed Travis with a knife. Jodi was so ashamed by what she had done, or frightened by the situation, that she felt unable to call the police, and instead denied that she had visited Travis. When the police confronted her with proof that she had been there, Jodi continued to refuse to admit she killed Travis, instead making an implausible claim that intruders were responsible. Finally at trial Jodi did admit the truth, that she killed Travis after he attacked her, but the jury did not believe Travis attacked her. She was convicted of first degree murder in May 2013, and in April 2015, she was sentenced to life in prison, after a second jury could not agree on the death penalty. I’ll be blunt, but polite. Arias killed him in a jealous rage, and concocted one to many stories for her to be believed about anything. She has consistently lied, and she is not believable. The evidence does not support her claims, nor will it ever. The gas cans are a dead give away that she di d not want to be tracked. The gunshot is not possible to be first, because had it been, Travis would have went down, and stayed down. The medical examiner testified that he would have been incapacitated as soon as he was shot, and he would not have been a threat to her after being shot. Plus, the bullet shell would have been at the shower, not in the bathroom. Plus, the casing would not have been on top of the blood, but in it. Her stories do not ring true, nor will they ever ring true. She attempted a cover up, did not get help for him, and she threw away the gun, and the knife. none of her stories have an ounce of truth to them, and the majority of the public, plus the world knows this. Not that it matters anyways, its just the truth. She can continue to lie, and make false claims. That’s her choice. But, the evidence does not lie. Only Arias does. Sorry, you have failed completely to understand the evidence in this case. You are not alone. Look again at the pages that explain why the evidence conclusively shows that Jodi acted in self defense. You are correct to say the evidence does not lie, but you need to comprehend it. I also fail to see or understand your point. You may be seeing trees, but not the forest. To create this site and ask folks to see things your way is OK, for amusement, but because your idol “J.A.C.K. says something, it doesn’t mean that it is true . . . . . . so sad for you . . .
Grant, this site is not for amusement, it’s to document that Jodi Arias was wrongly convicted. Your comment, like others, lacks any substance, I have approved it nevertheless. It seems that after the results of the outrageous handling of the Debra Milke case, the entire Arizona justice system needs be overhauled. See the faq, question 5 ( just added ).